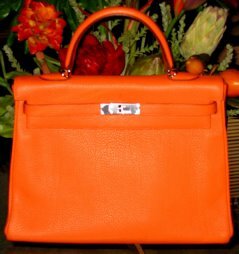 It was in 2003, shortly after my 1st child was born, that I purchased my first ever Hermes bag– it was an Hermes orange Kelly in 35cm, with palladium hardware. When I carried the bag around with my baby, one of the younger “ladies who lunch” whom I visited in her family’s retail shop asked me what bag I was toting. She commented that it looked like a “briefcase” and that it was something she’d never be caught dead carrying because it was in her words, “ugly.” LOL. I never forgot that comment because I roared with laughter after hearing her say those words, as she crinkled her nose. I don’t remember the bag that she was carrying, but I distinctly remembered her not knowing what an Hermes Kelly or Birkin was. I respected her opinion of my bag. After all, it was my “ugly” bag. LOL. But hey, I was so proud of that bag because it was something I had bought for myself with my own hard- earned money– my own push present LOL. I bought the bag thinking it was going to be the most expensive bag I’d ever buy, and that it was also my last. I had bought the Hermes bag even before I ended up buying the Louis Vuitton Neo Denim Speedy. This was incidentally the bag which jumpstarted this bag blog as “The Bag Hag Diaries.” Back then, I was still blogging under a different website at Blogspot. Ok let’s not get nostalgic because when I went to look at some of my older posts to pull out the photos of the bags above, I cringed hahahaha!! Guys it’s NOT Throwback Thursday so let’s not go further LOL. I find it astounding that the brand which once had no presence in our country, suddenly became the top bag brand that many women aspired to own. The brand was introduced to me back in college (in the late 90s *don’t bother counting back to know my age please LOL*) by a Japanese classmate of mine who was at the time wearing a Hermes Kelly watch to class. It was the bag that I stared at inside the Hermes store in one of the shopping trips with my fellow international (Asian) students. And it was one of the bags I aspired to own one day when I receive my own paycheck. At the time, the birkin was priced under US$4,500. There are so many resellers of Hermes bags today to meet the demand, and the black market prices have been unbelievably high. If you have the money and can’t be bothered to queue up or don’t have any “connections” at Hermes to be offered the bag, then your best bet is the black market or the reseller market. 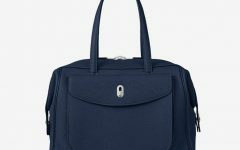 But beware of fakes as there are just as many unscrupulous sellers now waiting to pounce on unsuspecting bag lovers who have been “dying” to get their hands on one of these highly covetable bags. I still highly recommend going to a Hermes boutique for the full Hermes bag purchase experience. Nothing will ever beat that. Let’s face it. The Hermes birkin is just a bag. Sure, it takes so much time to make one bag by hand, and there are not enough craftsmen and women making them. The factory just can’t seem to churn enough bags for those who want them. The 35cm size is most popular size universally, but is honestly pretty heavy. The 30cm size is just right for most women, as the 35cm is a tad large, especially if you are on the petite side. The 30cm is also not as heavy. Price- wise, the difference isn’t so much anyway, but when the bag hits the secondary market or the black market, the price difference is astronomical. Many Asian women prefer this size hence the bigger demand for it. It is honestly not as easy to carry the Hermes birkin, unlike the Kelly which has a shoulder strap. The birkin does not have a provision for a strap so you can only carry it by hand or on the crook of your arm. And it weighs you down especially when you stuff it! To be honest, apart from how beautiful the bag looks, its story, and how well it’s made, the birkin is not exactly the most practical bag to carry. Women who carry the bag are equated with having achieved a certain financial status or social standing. The bag became a status symbol. This is a general perception. But then by now, we all know that not every woman who carries the bag bought the birkin directly from the Hermes boutique. There are a handful (or dare I say many) who bought them from the black market. And out of those women who bought them from resellers, there are a handful who did not pay for the bag with a one- time full payment. To make more money these days, many resellers offer these flexible and attractive payment plans to make it easier for the buyers to pay for their purchase, to make it less “painful” on their finances. I have been asking around a lot in recent years on payment schemes and there are some resellers who even offer 12- month term payments for the bags– in exchange for the bag, a partial payment is made in cash, and the rest are paid through post- dated checks issued throughout a 12- month period. Of course with that staggered payment scheme comes the interest fees that the seller adds, to make more money. Remember though that this is not a legit business on the side of the reseller– if the reseller doesn’t offer you an official receipt, you really have NO legal grounds to run after the seller if the bag turns out to be fake. From what I was told, most of the resellers without brick and mortar stores are not even registered with the Bureau of Internal Revenue (or Internal Revenue Service) and never declare their income and pay proper taxes for their sales. Which is again the reason why I insist on buyers to go directly to Hermes boutique instead for the purchase. That way, you also know that you are legitimately purchasing a high ticket item, and that the company you are giving your money to is remitting the taxes properly to the government, which works to help our economy. Going back to this payment scheme that resellers offer, while this might work well for the woman who does have the funds to pay for the bag in full but wants to budget her money so a large chunk doesn’t “disappear” from her bank account, this works against the woman who to begin with, doesn’t really have the funds to pay for the bag but will struggle to pay for it, just to be able to tote a bag that many covet. And at times, these women either can’t pay for the bag or go broke paying for it. They end up borrowing money from other people to fund this “enviable- to- others” luxe lifestyle, which would include owning one or a few Hermes bags. Worse, these people will find ways and excuses not to pay back debts, all while flaunting their bags and lifestyles on social media for others to see, in the hopes that others will envy them. And then there are unscrupulous resellers out there who are out to deliberately deceive women, duping them of paying top money for what is actually a fake Hermes birkin. 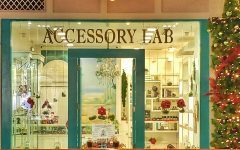 A story comes to mind– a few years ago, a bag reseller came to see me in Rockwell with her mother (whom I had actually met once through a tour group I joined with 30 other people) and showed me a few bags that she was selling. She had wanted them authenticated “just to be sure” (in her words). The bags I saw were fakes. But there was one bag which was real, and as it happened, this was actually a birkin (a blue jean 35cm birkin with palladium hardware) that was consigned to her for reselling. But the rest of her bags were new and were purchased from a “supplier”. 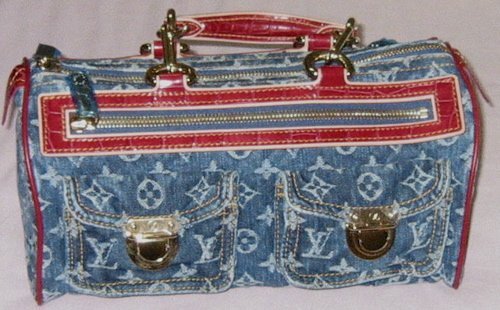 I told her the bags were all fake, except for the blue jean birkin. And I told her I hope she can find a way to get the money back that she paid her “supplier.” The mother and her daughter looked worried but thanked me and offered to buy me a meal, to which I declined. A few weeks after that visit, a lady from a different city came in to see me, hoping to ask for my opinion of the authenticity of her birkins. She had doubts, and rightfully so, because the bags (she brought 3 bags for me to see) were actually not even excellent fakes. 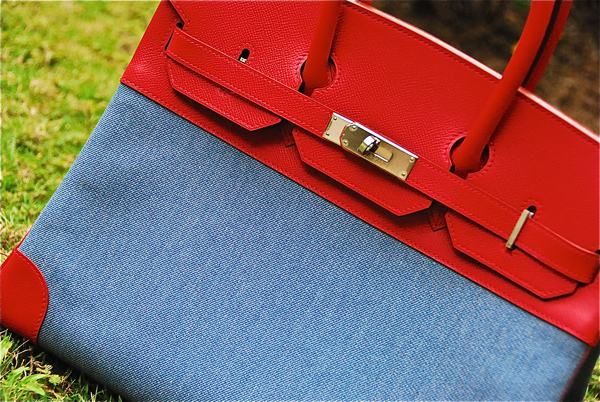 She was duped into spending well over PhP 10M (US$200,000++) for fake birkins. And I only saw 3 out of the few others she had purchased. And as it turned out, she had purchased these bags from that same reseller who came in to see me with her mother– and this reseller was unscrupulous and had refused to return her money, instead insisting to her to have the birkins sent over to Hermes Paris for proper authentication. As I recall, a huge brouhaha had ensued (not because of her, but because of others who had the same experience with her) and I think the story to expose the reseller was even published in the national paper. Her reputation was damaged. And while I don’t know this woman personally, having met her only once in Rockwell for the authentication of those bags she was trying to sell, I remembered finding out about her sharing a story with some people I knew, saying that I was a horrible person for not “supporting” her especially since her mother and I were “friends.” I was aghast– she was selling fake Hermes birkins! Why would I lie about that for her? And frankly I never recommend resellers either because I insist on people going directly to Hermes. I barely even know the reseller’s mother except from that time that we happened to be in the same travel group. Her mother seemed like a lovely woman, a woman hell bent on supporting her daughter even if she knew of her daughter’s lack of business scruples. I never found out know what happened to the lady who got duped by this reseller (though I do hope she was able to get her money back), but sadly though, misfortune had befallen the reseller. The reseller’s mother had tragically passed away over the Christmas holidays due to an accident. Many who got duped by this reseller called it karma. Imagine that, all these happened because of Hermes birkins! Another funny incident I remember about the Hermes birkin craze happened some years ago– before the brand opened in the Philippines. A lady whose husband was (or maybe still is) in Philippine Congress sent me a message on our work mobile phone (which was published in magazines at the time I had a 2nd hand bag store). This Congressional wife had asked if she could “borrow” one of my birkins. Take note, “borrow” and not “rent.” Not like I rented out bags, but I was just as dumbfounded anyway by the request. She had, on her message to me, indicated that many of her “amigas” and fellow Congressional wives were carrying birkins and she had wanted to carry one as well. She wanted to borrow the bag for a month and offered to write me a postdated cheque for the amount of the bag– the cheque to be dated toward the end of her borrowing period. Of course I politely said no. Her name did not ring a bell and I no longer remember it today, (then again, I don’t know much about Philippine politics) but I just found it so odd that she would be so emboldened to ask me to lend her my own bag so she could flaunt it as hers to show her “friends” that she has one too. Incredible, right? All for a Hermes birkin! Last year, my friend downloaded a Filipino movie for me to watch, entitled Etiquette for Mistresses” (a book that was adapted for the big screen). I haven’t watched a Filipino- produced movie in a long time, so this was something I looked forward to watching, especially because I still remember being the host who introduced Jullie Yap Daza, author of “Etiquette for Mistresses” at a ladies luncheon in another lifetime (hahaha it was sooooo long ago– I think all the way back in 1993 or 1994 LOL good grief I was just a child hahaha). Anyway, I was so dismayed with one particular scene when the actress introduced bags to her “fellow mistress” and picked out a Hermes birkin for her, telling her that it’s THE bag to have. I think from that time on, I keep thinking that the Hermes birkin is a bag that is toted by “mistresses”… *gasp* sorry!!! I know, Hermes should do something about that association with the bag! And hah, let me not get into that movie any further because I might start talking about the hypocrisy of religion in the Philippines LOL (and that’s totally unrelated to the Hermes birkin haha). Just this year, I was handed a letter which turned out to be a “Motion for Reconsideration” of a previous lawsuit that a woman (a.k.a. the buyer/ plaintiff whom I shall not name for legal reasons) filed against another person who had sold her a birkin which, upon closer inspection, turned out to be a fake Hermes bag. How did I figure into this and why did I suddenly get named in that legal document? Because apparently the buyer had indicated that I must have been involved or in cahoots with the seller (defendant). 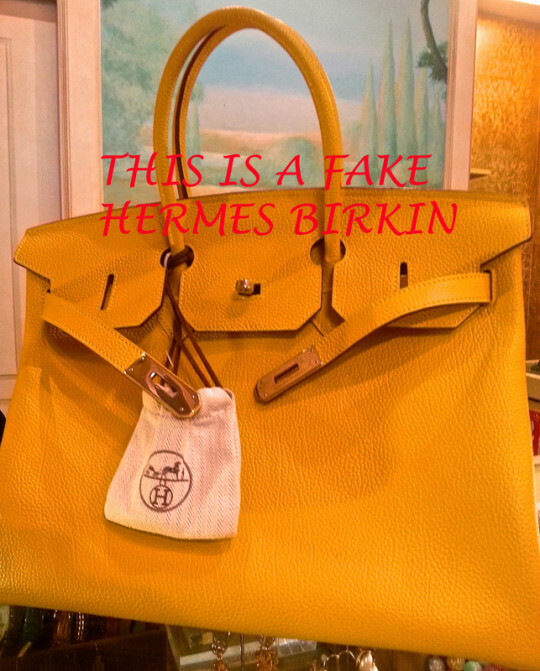 I had, based on my experience of having seen many Hermes birkins, inspected the said bag which was brought in by the defendant to show me, and had initially thought the bag was authentic. My mistake there was, while I did a look- through of the bag, I immediately assumed the bag was real because of the leather quality. I had failed to scrutinize the bag further, and had I done it, I’d have seen the minute details of the bag which gave it away as a fake Hermes bag. The second time the bag was brought back to me, I looked at the bag further and changed my authentication conclusion– the bag was a fake Hermes birkin, a good one. I retracted my initial findings with humility and sincerity. I had likewise suggested to have the fake Hermes birkin just brought over to the Hermes boutique because they would know best on how to deal with authenticity questions. I had also acknowledged that I had made a mistake– even extending the acknowledgement of my mistake via a post on this blog. At that time I had no knowledge of what was ongoing between this person (defendant) who brought the bag in for authentication and the plaintiff. I did not even know there was a relationship that existed between those 2 people– and if you ask me for their names at this very minute, I’d give you a blank stare. I don’t know either of them personally, nor do I even remember their names unless I look at that legal document. Bear in mind that I have done authentications many times for people who come in to ask me to look at their bags. I have no knowledge of the history of the bags that are brought to me. All I do is inspect the bag, make small talk with the people who bring in the bags, come up with a conclusion based on my experience (again I don’t claim to be an expert but because of my experience of having seen and handled so many birkins throughout the years, people come to me to ask for my opinion). In this “Motion for Reconsideration,” a Hermes bag reseller was mentioned. This reseller had also produced an authentication conclusion which differed from my initial one. On the actual legal document, this reseller was labelled an “authorized Hermes reseller” which is something Hermes might not take lightly from a legal prospective. 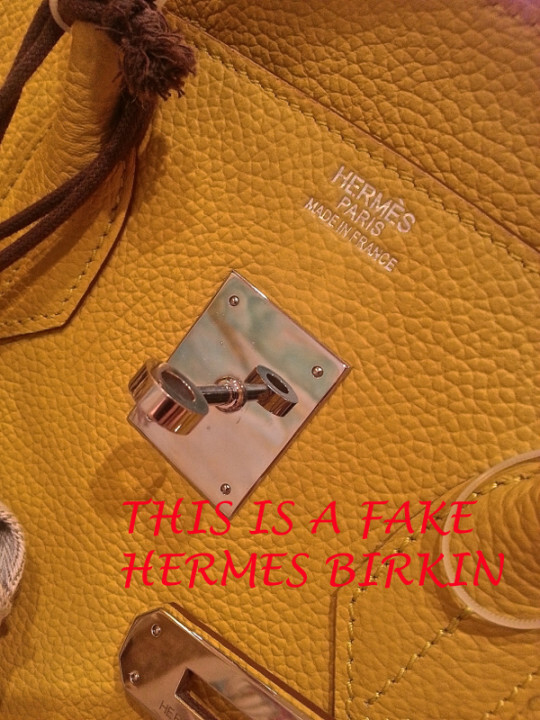 Because Hermes does NOT have any authorized resellers in the secondary or black market. And again why my name suddenly becomes part of this Motion for Reconsideration is because apparently the plaintiff had reason to believe I must’ve been colluding with the defendant over the sale of this fake Hermes birkin. It is a ridiculously unfounded claim, perhaps injected and implanted in her mind by those that surrounded her at the time she had trouble with the defendant. I had contemplated on filing a countersuit against all the parties mentioned in the legal document for dragging my name in their mess. But then I also thought, all that money to be spent for what, to defend my reputation over a bag? As of last month, I had informed Hermes Manila of the situation and that I am making that legal document available to their legal team should they wish to pursue and investigate on the other claims made by the plaintiff. On my end, my legal team is on standby should there be more developments which involve my name. If needed, we will be forced to take legal action because this is really an incredulous, baseless claim and is a deliberate attempt to smear my name. Over a bag. Tell me how ridiculous that sounds. Oh and by the way, the plaintiff had lost on her initial suit against the defendant. And I was not named as a co-respondent in her initial suit. This is really all so ridiculous- sounding no? So much money lost over a Hermes birkin. So many relationships and friendships broken over a birkin. So many lives torn apart over a bag! Is the Hermes birkin really worth all that fuss, all that mess? All because of the social and financial connotation of the bag. All because the bag is a status symbol. All because of the hype we (including myself) have created over the bag. All because these buyers don’t have the EQ to wait for the bag directly from Hermes and choose to buy the bag from resellers who tempt them with these flexible payment plans. Time and again, I have advised people to just go directly to the Hermes boutique and have their names listed for it. 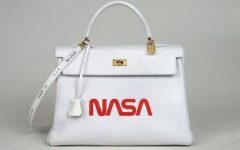 I guarantee you this, the wait for the bag is worth it– ONLY if it comes directly from Hermes. But to create all the fuss I mentioned above over a bag? Seriously. Carrying that bag won’t make you smarter. Owning that bag won’t make you more respectable to the people who matter in your life. 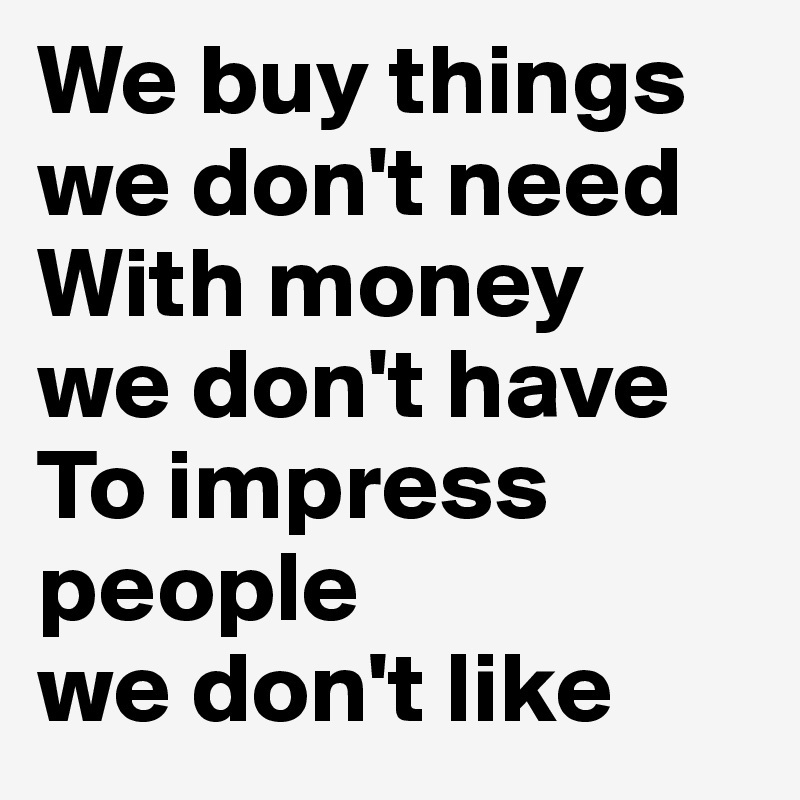 If you can’t afford it, don’t buy it. Not owning the bag won’t make you any less of a person. There are so many other bags that don’t cost so much. Choose the one that you can afford without having to lie, cheat, steal, or to borrow money or go broke over it. Because really, at the end of the day, IT IS JUST A BAG! I read your postings regularly because they’re so interesting and very well-written (informative, peppered with wit, humour and some sarcasm sometimes). This particular story of yours is not only engaging but familiar too! A select few incidences in your article have similarly happened in Malaysia as well, unfortunately. All because of one BAG. It’s sad and disturbing to know that some people are crazy obsessed with material wealth and social standing. I went to the Hermes Store recently and was informed that i have to fill out a request form to be able to see an Hermes Birkin 35 in person since it will come from Paris, which of course i find ridiculous considering it is just a bag.. The experience really turned me off..